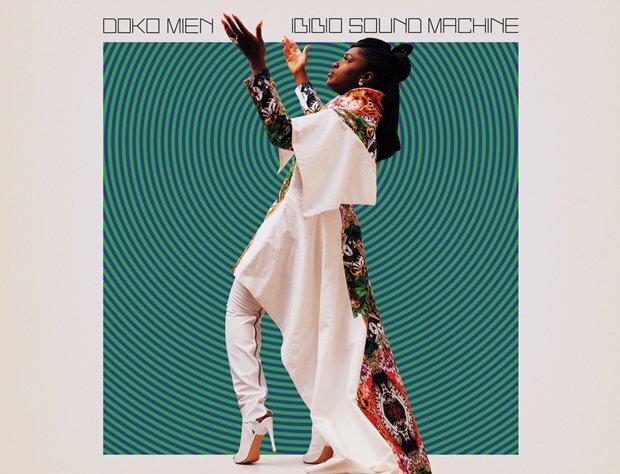 They're back, and this latest release sees Ibibio Sound Machine bringing more explosive disco energy to the party than we've heard from them yet. Doko Mien is a smile-inducing and dancefloor-filling record, offering up their signature blend of West-African electronic music and western funk. Combining the joy and tradition of Nigerian highlife with electronic sounds of the future has been a winning combination for the group so far, and Doko Mien thankfully offers more of the same. First single, 'Tell Me (Doko Mien)' has already proven its earworm-brilliance, as frontwoman Eno Williams switches seamlessly between languages and vocal styles. The track is a perfect first release – a microcosmic example of the duality found throughout this album, with even its title balancing Williams' double nationality. Ibibio Sound Machine meld cultures, genres, languages and musical styles: the result is something quite distinct and wondrous. Slower tempo tracks, such as 'I Know That You're Thinking About Me', give Williams the chance to show-off her gorgeous vocal tone, and the impressive control she exerts over her lower range. 'Nyak Mien' is a track for sunshine and beaming faces, and latest release 'Wanna Come Down' pulls on the funky guitar riffs and brass lines which are prominent throughout the album. Williams has superstar written all over her, and this latest Ibibio Sound Machine release, their second on Merge Records, is an overwhelming success. Combining tradition and geographical roots with a plethora of genres and forward-thinking ideas, makes Doko Mien pleasingly original. 'We wanted everyone to feel as if they're part of the music as well,' said Williams, in a concise summary of the overall feel of this album. It is welcoming, open, fun, and full of energy – from the cowbells to the horns, synths to funky bass – Doko Mien is musically lush. Out Fri 22 Mar on Merge Records.